Find hotel near Iglesia Y Convento De San ..
Iglesia y convento de San Francisco is an ancient church in Alcazar de San Juan. 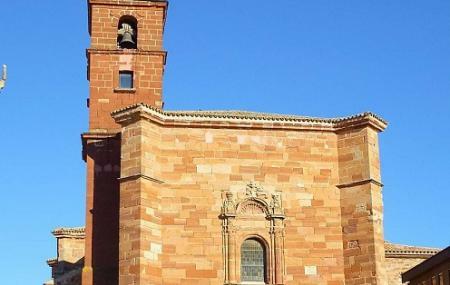 Visit this church and you will feel as if you have stepped into the historical era. The architectural design of the structure is a perfect blend of Gothic and Renaissance style. While the exteriors of the church are moderate and plain, the interiors are impressive and heart capturing. The church offers quietude and peace, making it an ideal place to find harmony. Stop at this church if you are looking to spend some quiet time. Explore Iglesia Y Convento De San Francisco and other prime spots of the city using Alcazar De San Juan trip planner. Oomph up your visit by adding the best hotels in Alcazar De San Juan like Hostal Restaurante Ego's, Las Banderas, Hotel Alcazar and Hotel Convento De Santa Clara. Explore the best Alcazar De San Juan vacation packages that will take to you important landmarks of the city! For getting in, check out how to reach Alcazar De San Juan. Love this? Explore the entire list of places to visit in Alcazar De San Juan before you plan your trip. Fancy a good night's sleep after a tiring day? Check out where to stay in Alcazar De San Juan and book an accommodation of your choice.